Your website’s blog is a lead-generation and marketing tool that helps contribute to a stronger online visibility in the search engines. But, it also drains your resources and time because it requires new content every so often. Despite your best efforts something can crop up between your blog and you that doesn’t allow you to dedicate as much as is necessary to keep a healthy amount of content which generates organic traffic. But losing organic traffic from the blog can occur to anyone. When it happens to you the details of why it occurred are not really important. But even if you create new positions to help with better focus on the content and change your strategies, unless you create a full strategy around generating blog traffic, you’re unlikely to see a drastic improvement. Does this seem familiar to the experience of your business too? Whatever the cause, if you don’t have a good strategy for increasing your blog traffic, it will start to suffer. So last year we decided that we would make our blog a priority and rebuild traffic as part of our strategy. Now, after one year, we are glad to report that our traffic grew by more than 5X. Not only did our traffic grow, but also our subscriptions and engagement improved. Many people started to comment or click on our website and we saw a steady increase in conversions. 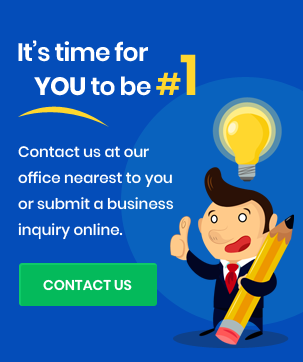 It has taken us a long time to achieve this tremendous increase in traffic, and we are not here to cheat and say that we have a magic formula that can restore the relationship you had with your blog. Content marketing and SEO take time, and while many articles will give tips on how to increase your blog traffic overnight; this article will suggest long-term strategies that will lead to sustainable growth of your blog. No quick fixes here. Plenty of work – but the results, long-term, will be more than worth it. So, if you visited this page because the clickbaity headline made you expect a super-fast solution or miracle that would boost your blog traffic, then we are sorry you might be in the wrong place. This article will present reliable and repeatable strategies that will make your blog to grow. If you are struggling to increase your blog traffic, then the first thing you need to do is check and improve the loading speed of the website. Customers do not have time to waste waiting for your blog to load content. They want a blog that can load faster and give them the solutions that they need quickly. In fact, if your content does not appear with 3-7 seconds, users will start to bounce off. More importantly, Google considers website loading speed an important ranking factor. Besides running a website optimization exercise, it is highly recommended that you purchase a fast hosting service like a VPS and enable a CDN to ensure that the speed of your blog is at par with the industry’s standard of less than 3-7 seconds loading time. Sometimes, your audience will fail to visit your blog because you do not introduce fresh ideas apart from the content that you posted several months ago. And how many times do you repeat the same thing in your blog? As time passes, your old content may no longer be as relevant as it used to be, so every so often, you need to revisit your old content and update it significantly to update it with any new things which have been introduced since your wrote the content. Even if your users land on your content, it might be extremely frustrating to hit this content. But do not unpublish the old content and publish new content. Update your old content instead. Keep what is still relevant and introduce new sections as necessary. You can also get new perspectives on the content by introducing different authors to the old content. A good solution to this problem was to engage more people to write content for your blog. If you have a group of content writers, their diversity will ensure that your blog continually publishes new and engaging content, with different points of view, which complement each other. There is a big debate about on-page optimization that is going on currently, some think that your content should be natural and not focus on search engines. But, the people who are able to get a lot of traffic organically, put a lot of emphasis on SEO on-page optimization. 1. Identify content that needs to be updated which could have high conversion rates, more comprehensive and focuses on significant keywords that need to be targeted. Make sure you stay beneath the 3% keyword density for any word and use such techniques is TF-IDF to identify any missing keywords. 2. Search for articles which have rankings in the second or third pages of search engines – such a post that has immense potential of ranking up in search engines because it means the engines like it enough, it just needs a bit of improvement. 3. Improve your content quality by making additions and updating any data tables as relevant. 4. Optimize all your content for conversions. You need to develop an editorial calendar that will ensure that your blog publishes new content always for your audience. This calendar needs to include among other things the date that you want your content to go live, the author who will write content, call-to-action tags, and the actual title of your blog. Plan some topics which are meant to bring organic traffic, and plan some content which are more likely to make an impact on social networks. Even if you are running a personal website, you should still focus on creating such a content calendar. Also, plan content which supports each other, and content which supports other content. In general, you should avoid writing about exactly the same topics, in general you should have one focus piece of content, typically long-form, and then a few other topics which support your primary topic and link back to it. Marie Haynes, calls this, hub and spoke approach to content. Many people have been debating the importance of focusing on keywords, but topics can increase your blog traffic than keywords. Make sure that you create topics that include the long-tail keywords and link all the content together, using keyword research. Just like the mentioned above, the hub and spoke method of creating content, the concept of topic networks fits well with on-page optimization strategies. Effective promotion is another factor that can increase your blog traffic tremendously. Sharing your blog content on social media can cause a spike in your blog traffic. But you need to have a strategy not to flood your social networks with material that would make your audience bored or disengaged. Ensure that you have a number of fun topics and posts, which do not send your user back to your website. This will help improve the reach of your site. Links back to your website remain the number 1 ranking factor to improve your website’s traffic. 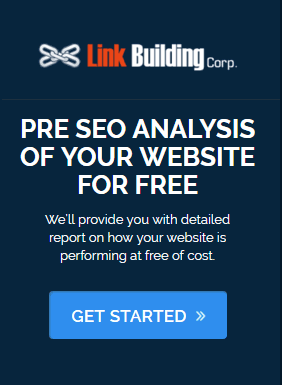 Although you need to have a great basis in terms of good content and good on-page SEO, doing all of this without links is almost useless. Determine a link-building strategy which works well for you and make sure that this is running constantly in the background as you create the content. 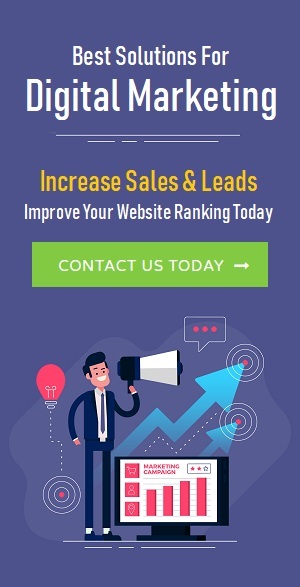 By implementing all of the strategies above, slowly but steadily you will start to see a rise in organic rankings and of course, organic traffic. Don’t get discouraged if you don’t see immediately results, but by performing the above, you should start seeing movements in organic rankings almost immediately.